Keep your dome protected with the JT Spectra™ Flex-8™ Full Coverage goggle system. Exclusive“ dual-fusion” technology has helped us produce a revolutionary exoskeleton that can be found in our Flex-8™ system. This system offers integrated venting on the jaw which has also been strategically designed to encourage deflections and bounces. 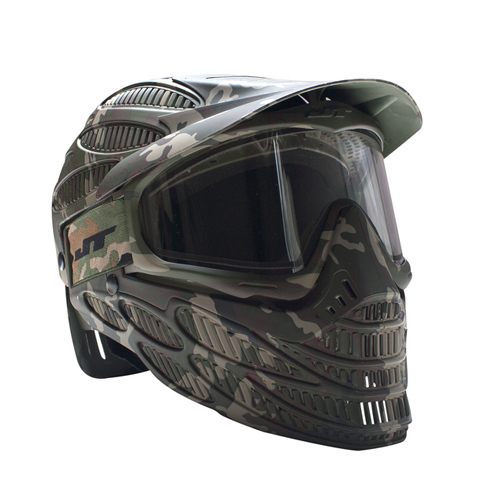 While the JT Spectra™ Flex-8™ offers a “smaller target” to your opponent than previous Spectra systems, the Flex-8™ goggle still maintains its ability to accept the Vortex II™ fan and other popular JT accessories. The full may also be detached if necessary.